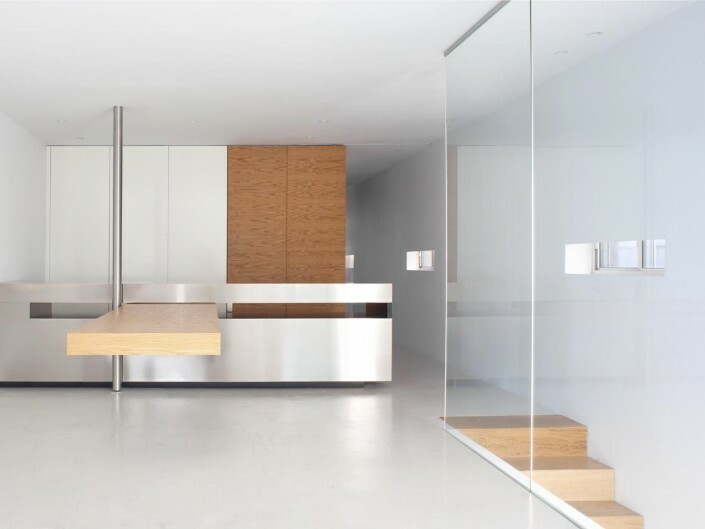 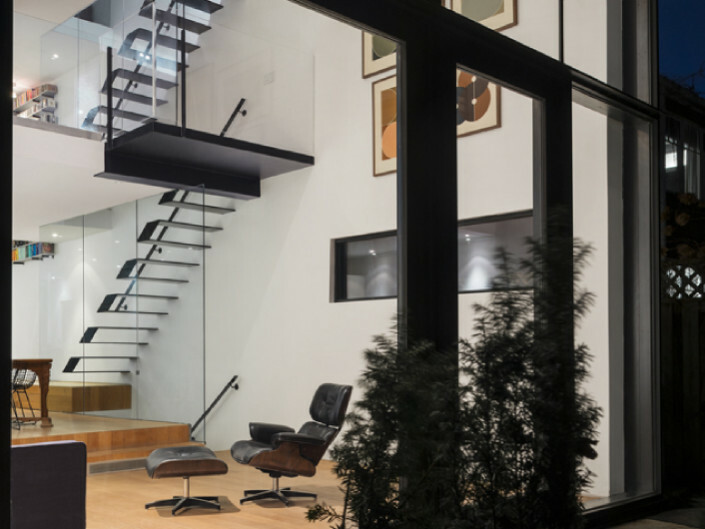 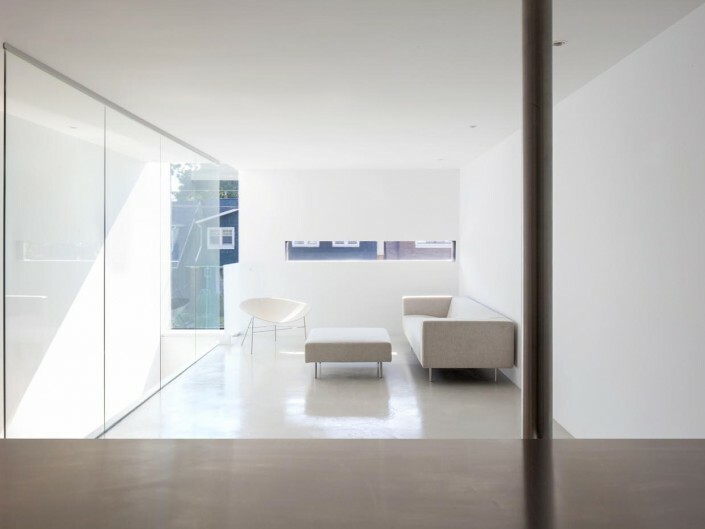 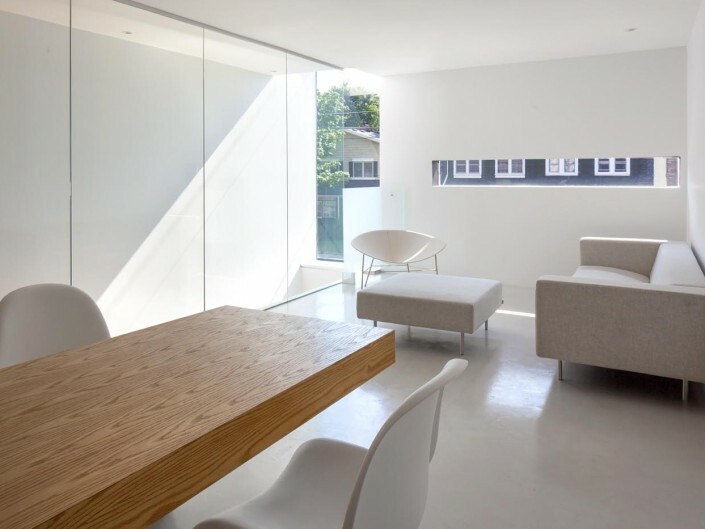 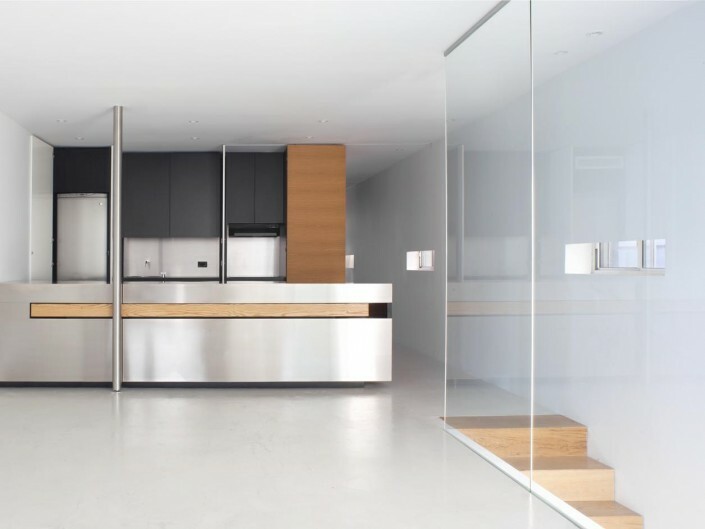 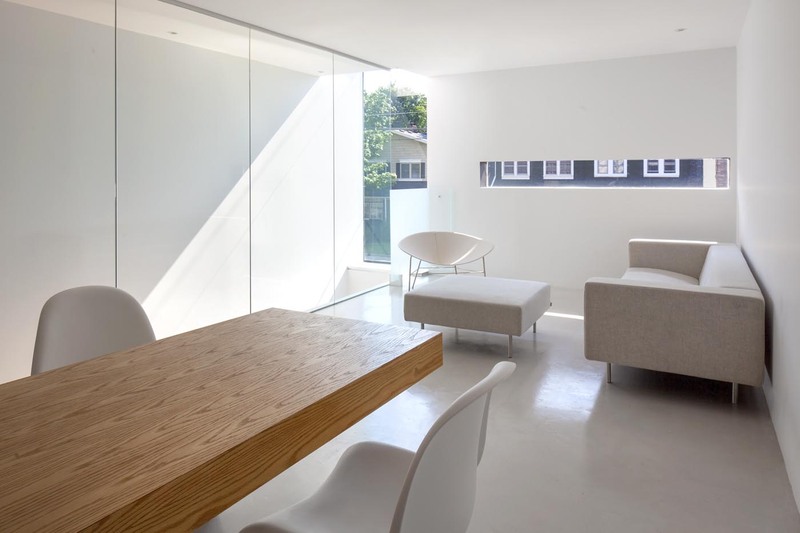 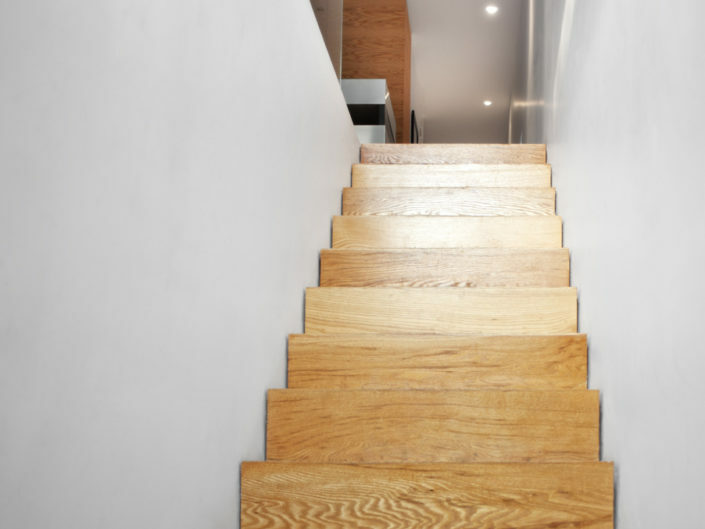 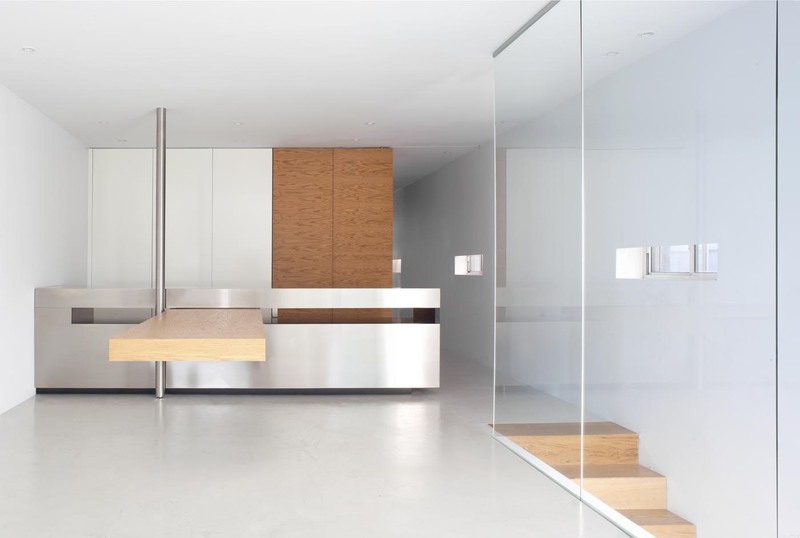 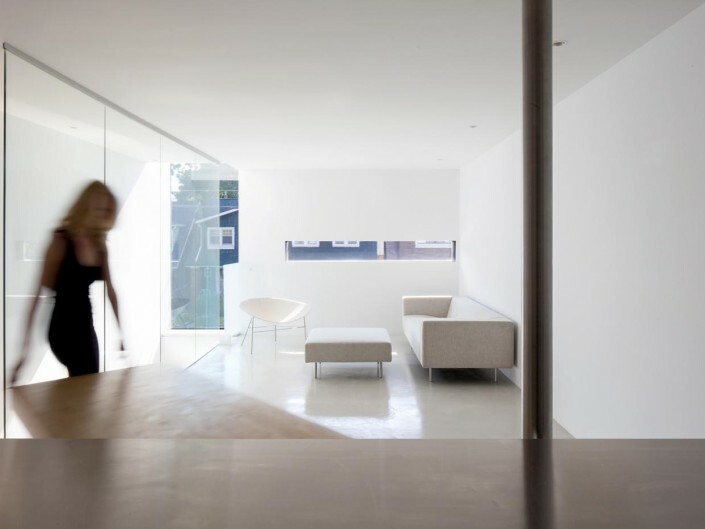 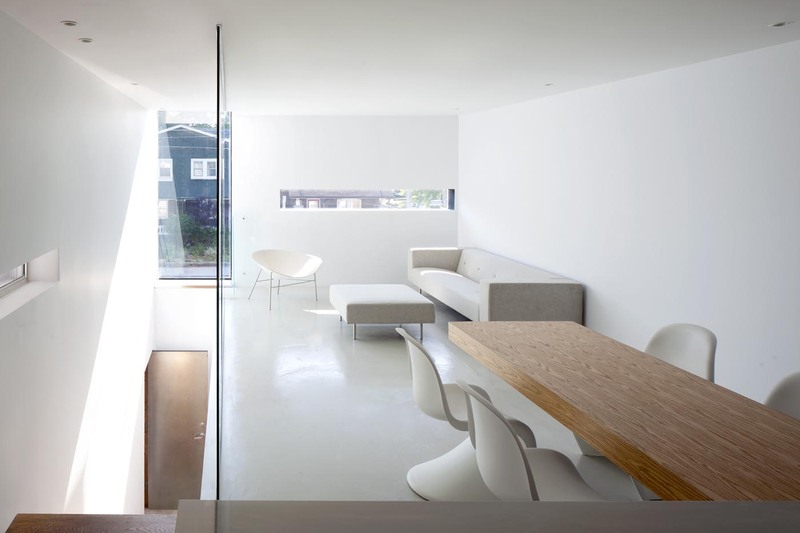 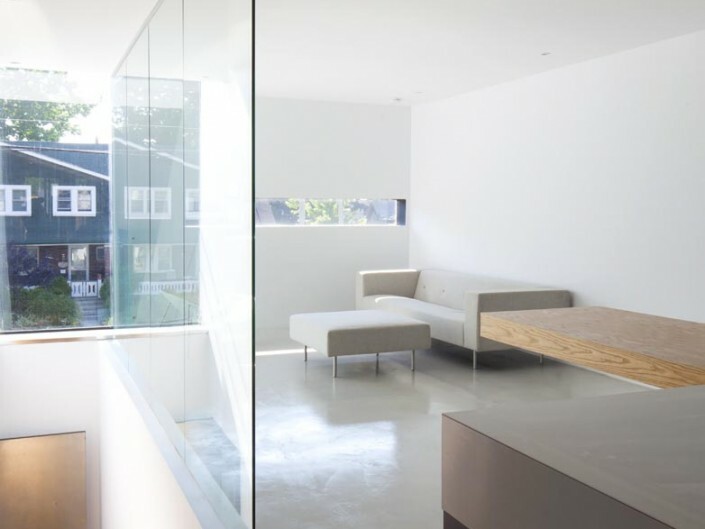 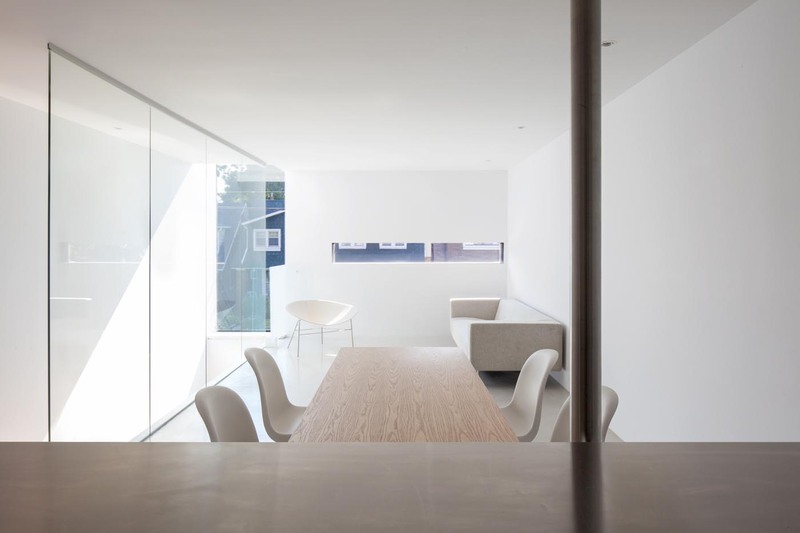 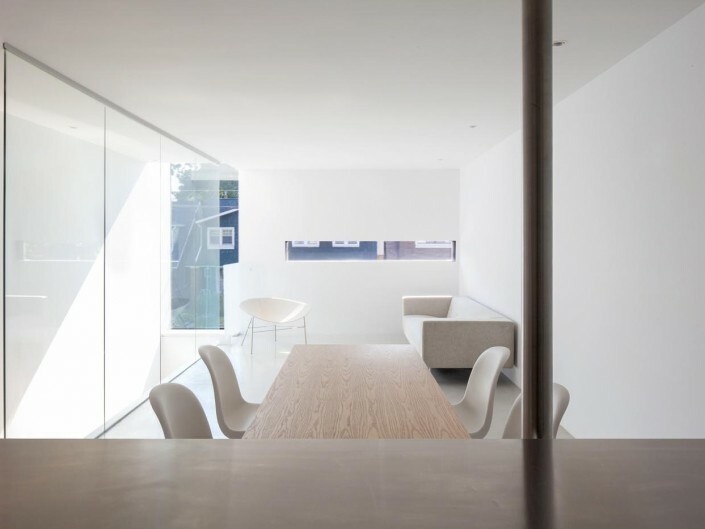 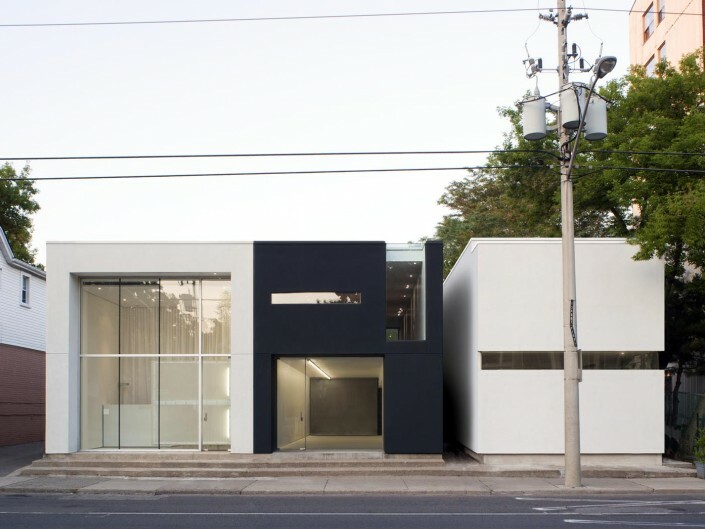 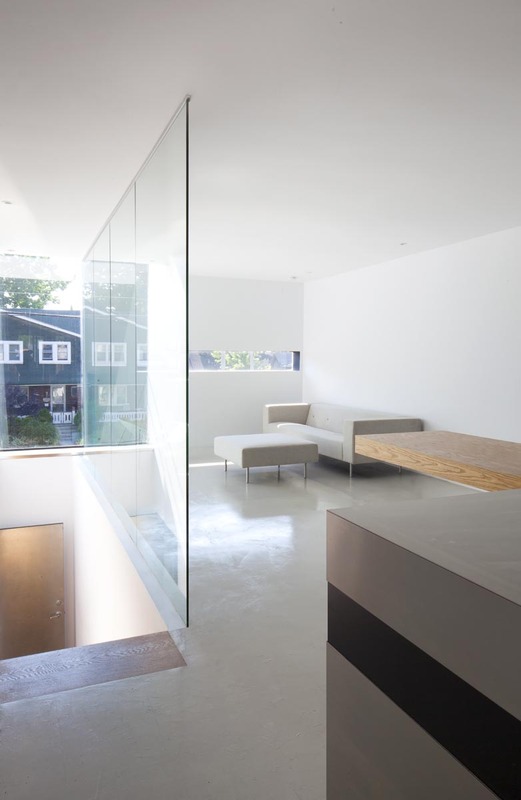 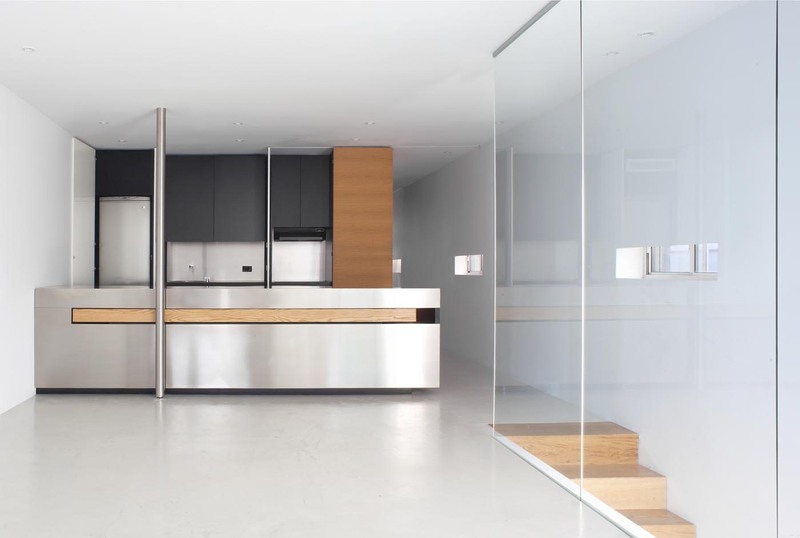 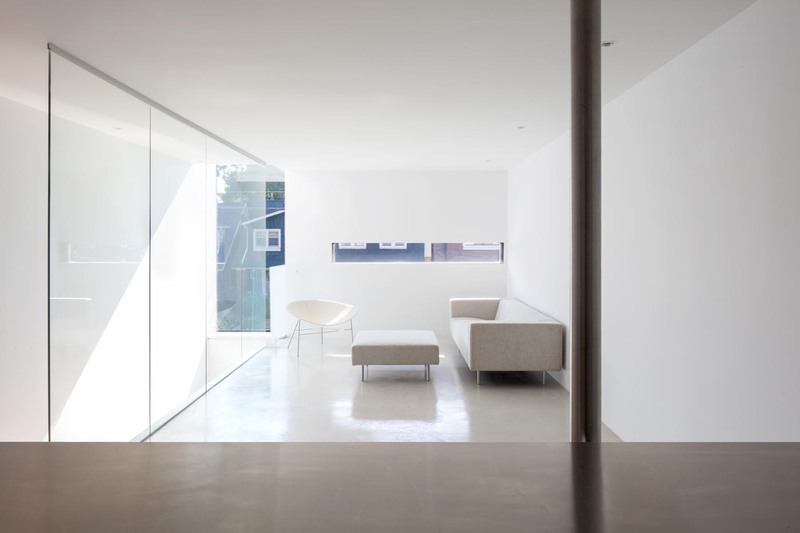 An exploration of transformative concepts, the residence became a “laboratory” examining the possibilities of modulating programmatic zones found within a prototypical townhouse or condominium unit, with the added challenge of one that is relatively compact (900SF). 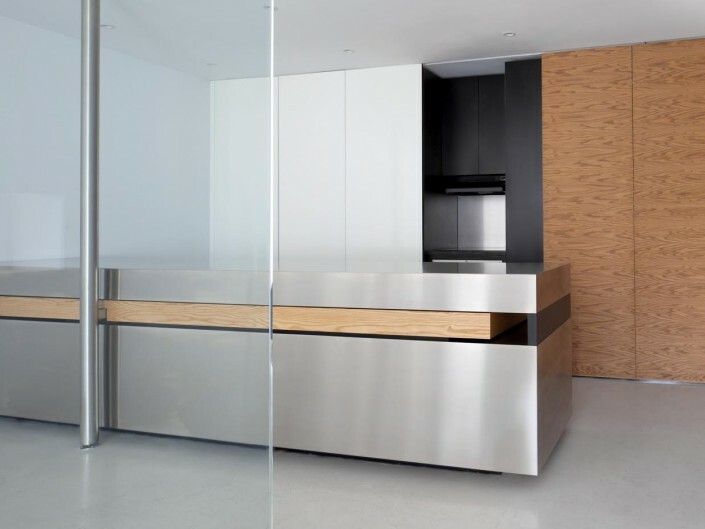 The public zones are comprised of living, dining and kitchen areas that are easily transformed for entertaining when a pivoting dining table, integrated with the kitchen island, swivels and stores into it. 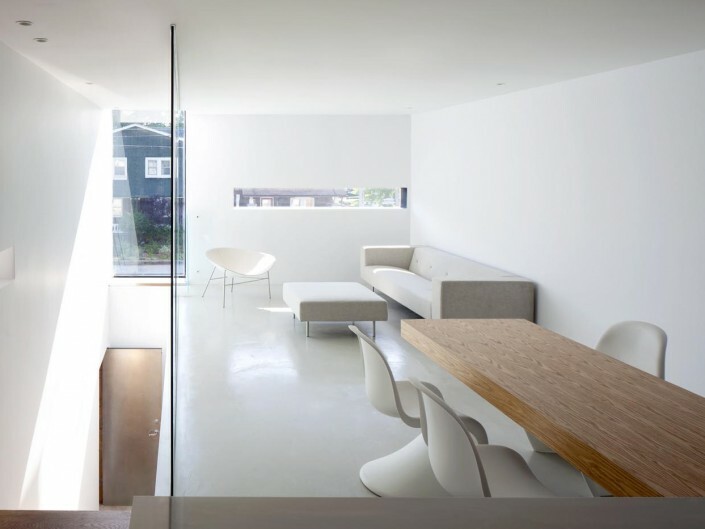 This effectively extends the living area into the dining/kitchen area. 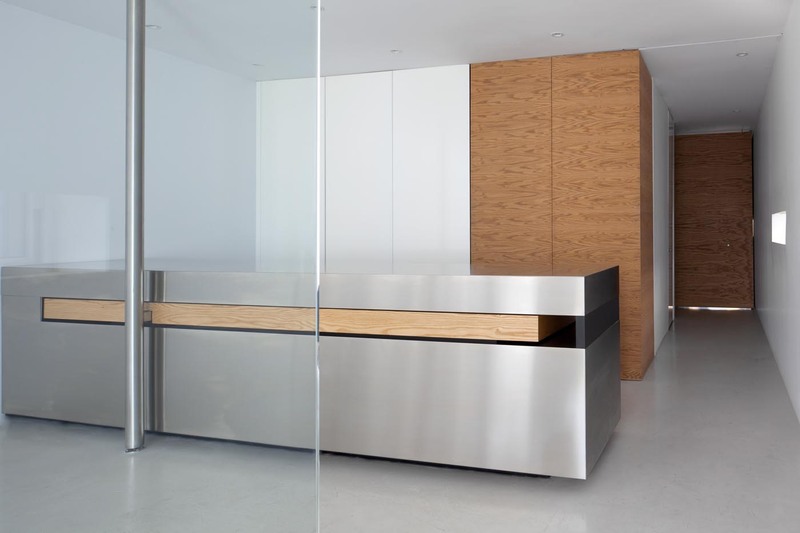 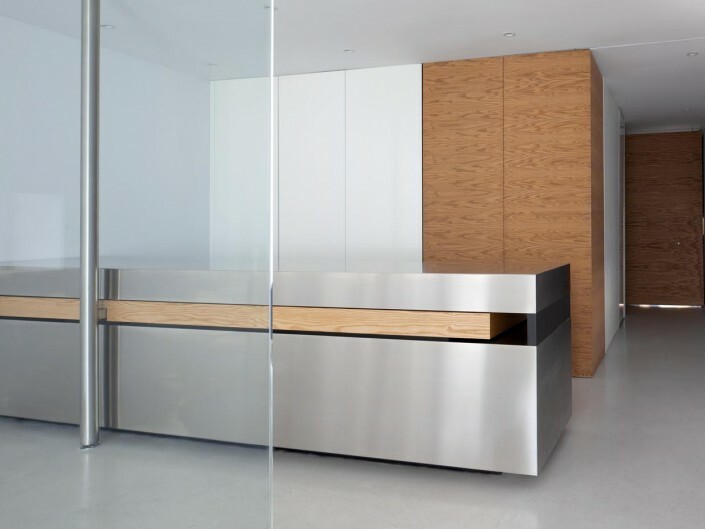 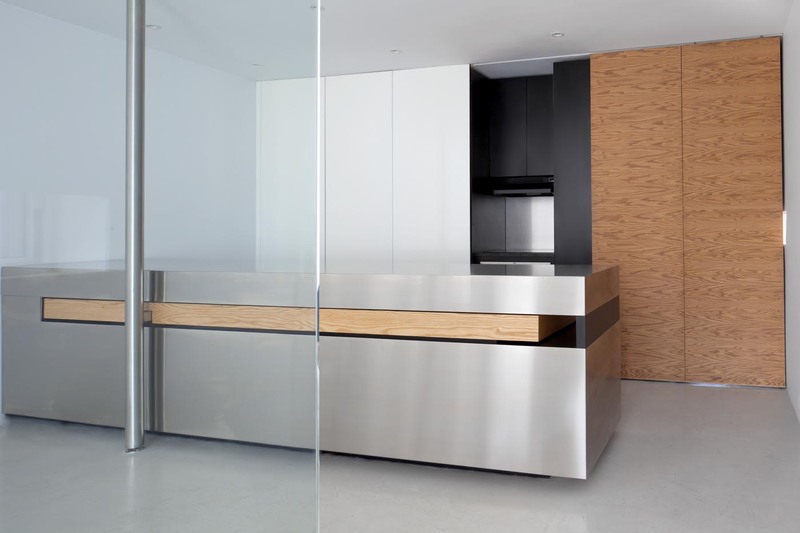 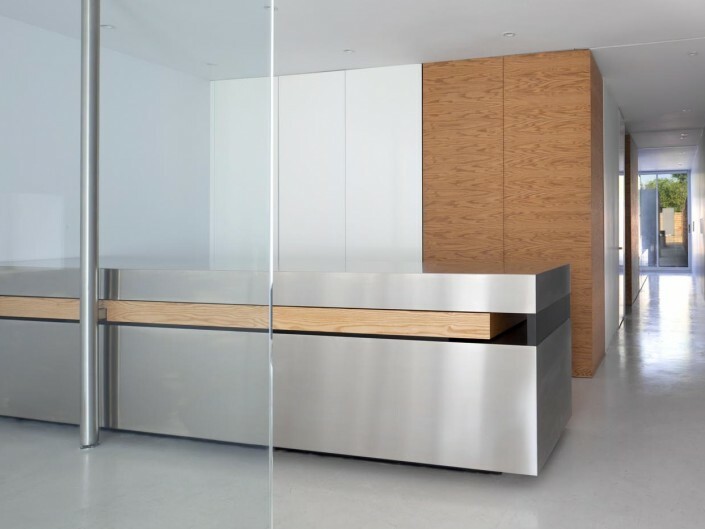 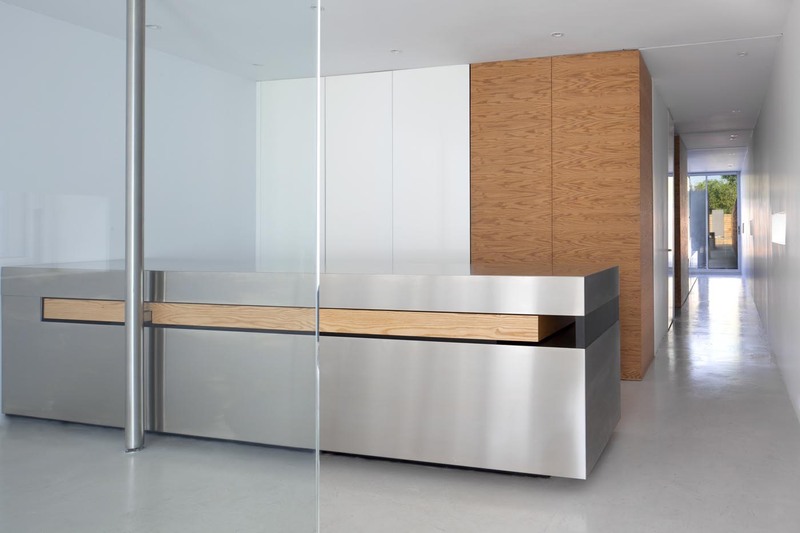 Full-height cabinet doors that conceal kitchen cabinetry transform the kitchen to a bar. 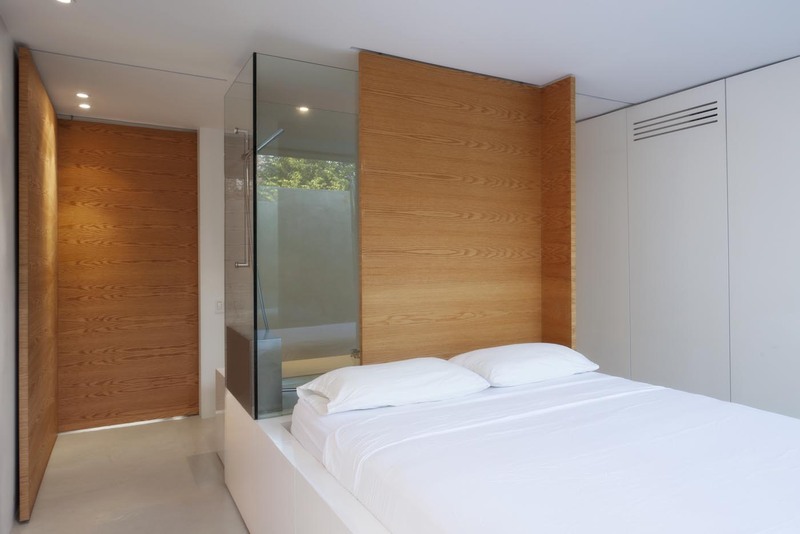 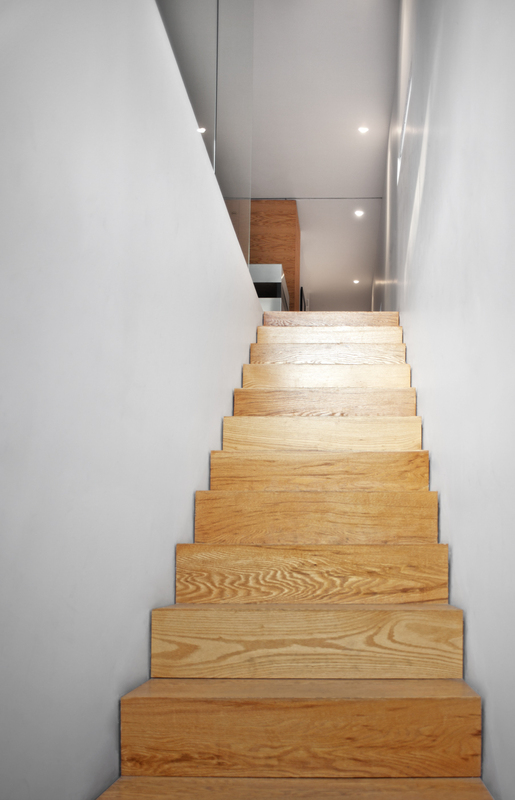 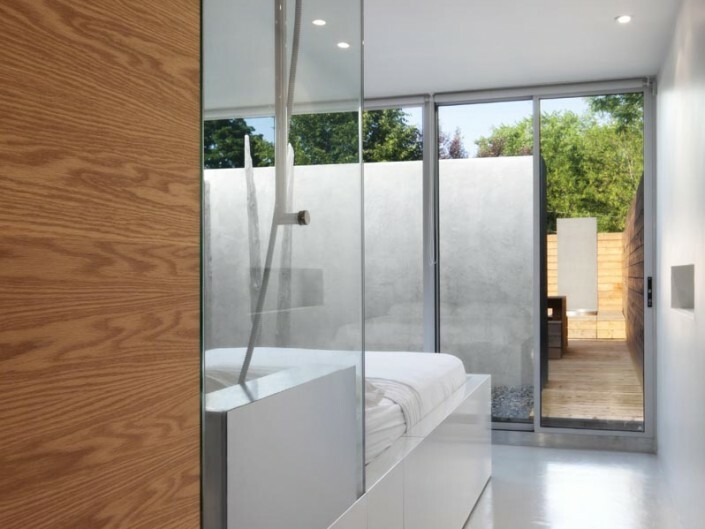 Sliding oak partitions offer varying levels of visual and physical privacy as one enters the more discreet zones leading to the bedroom suite. 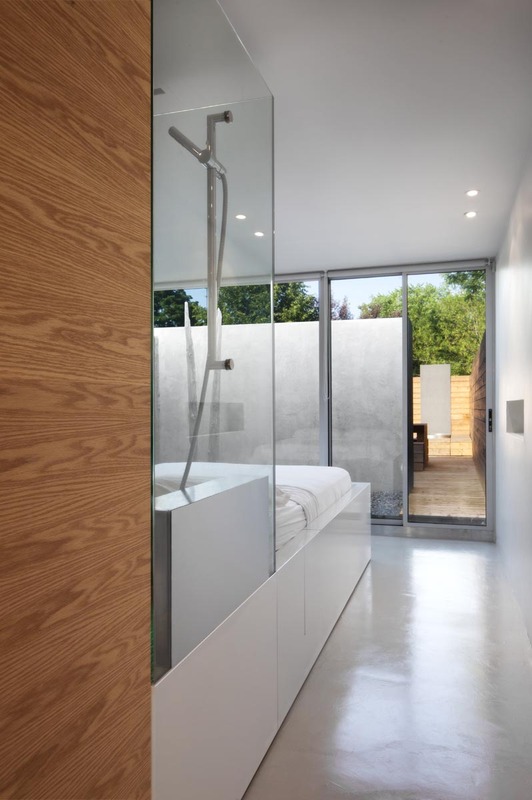 A sliding closet door at the open kitchen offers the initial level of privacy from the public zones, then another just before the bedroom. 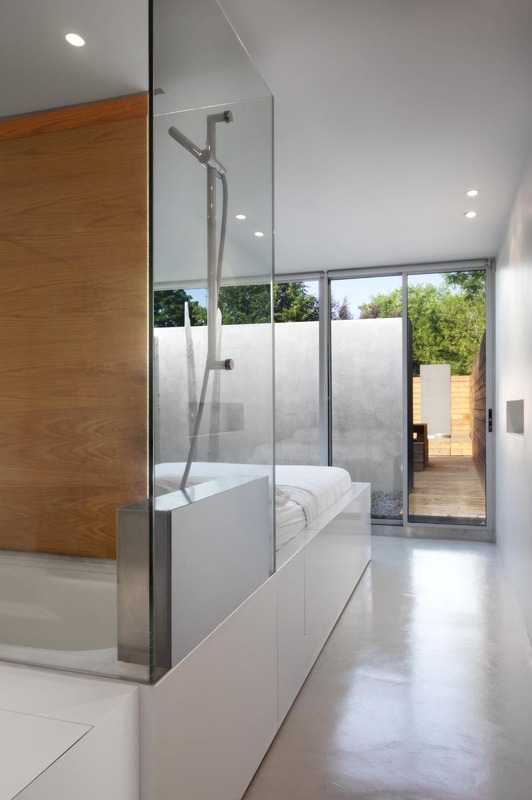 Located just before the sliding partition of the ensuite bath/bedroom is a powder room and guest bedroom/laundry/storage room. 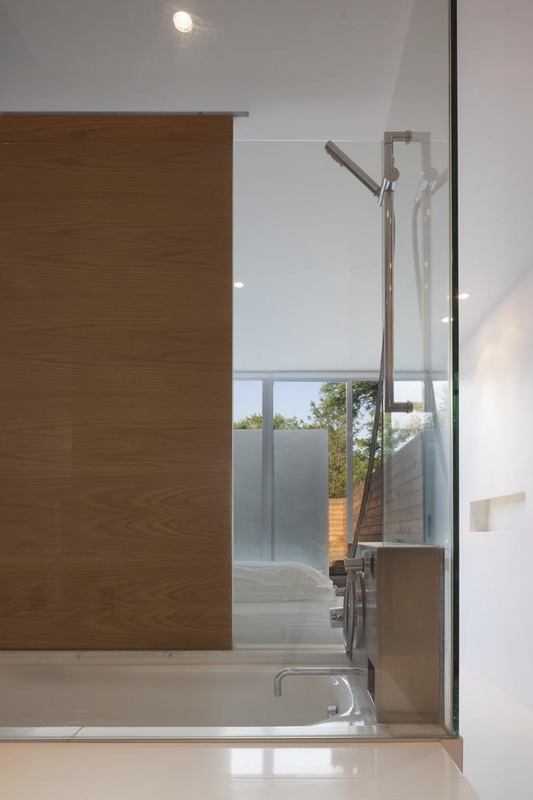 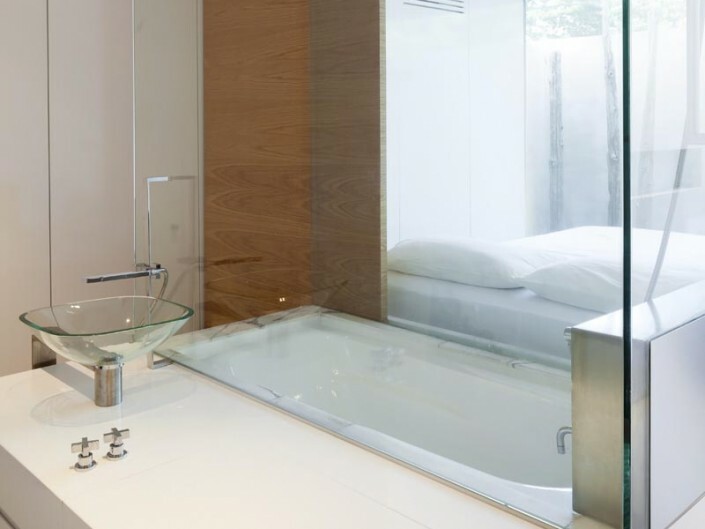 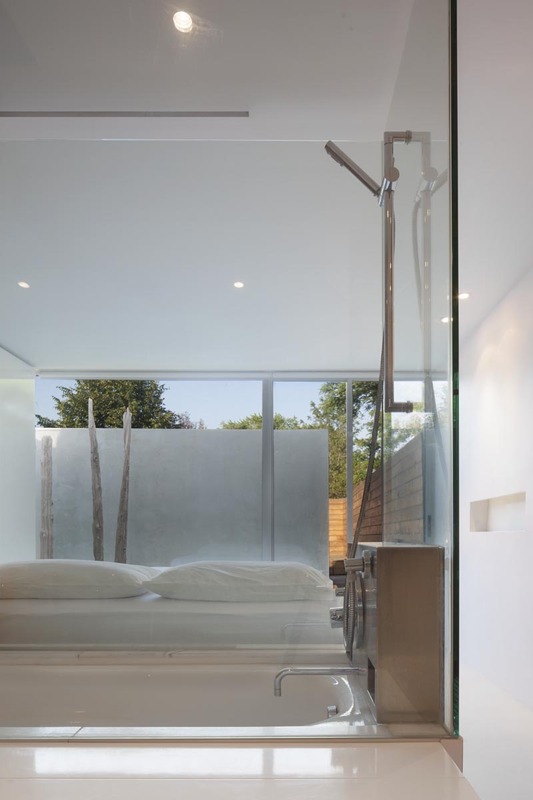 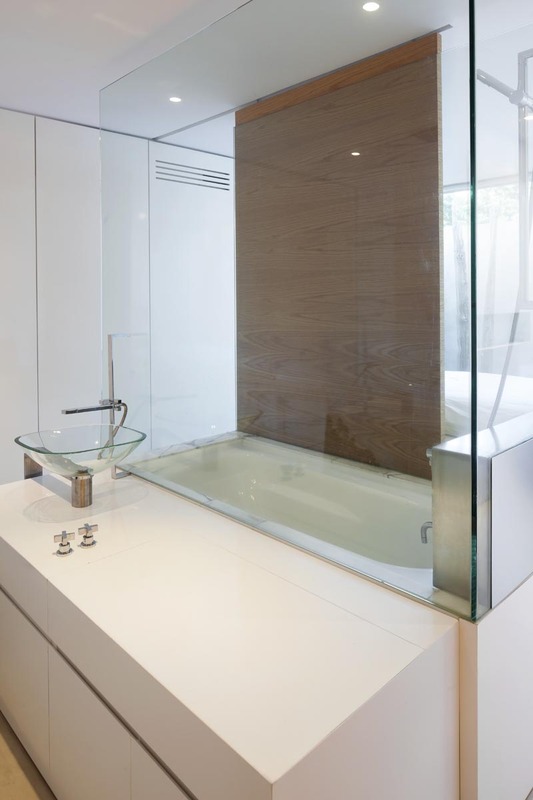 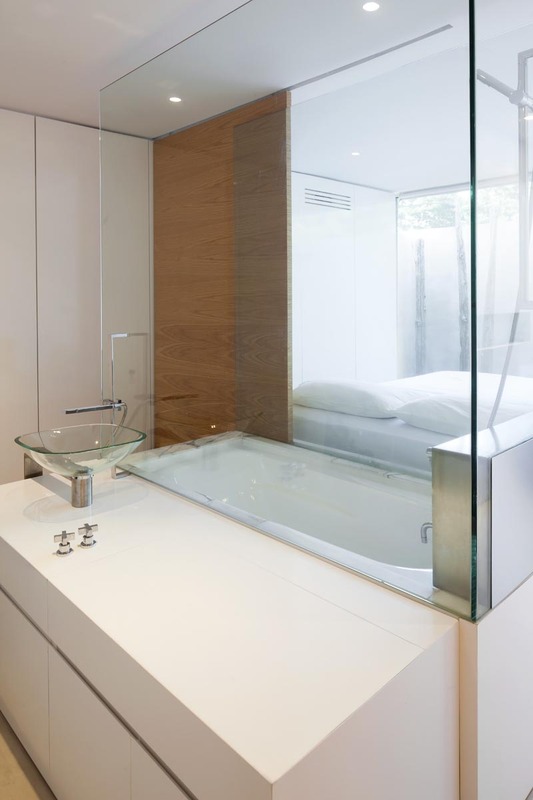 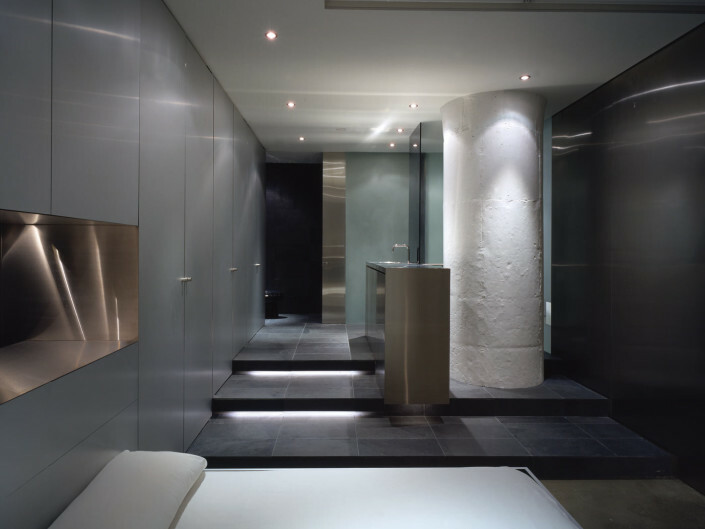 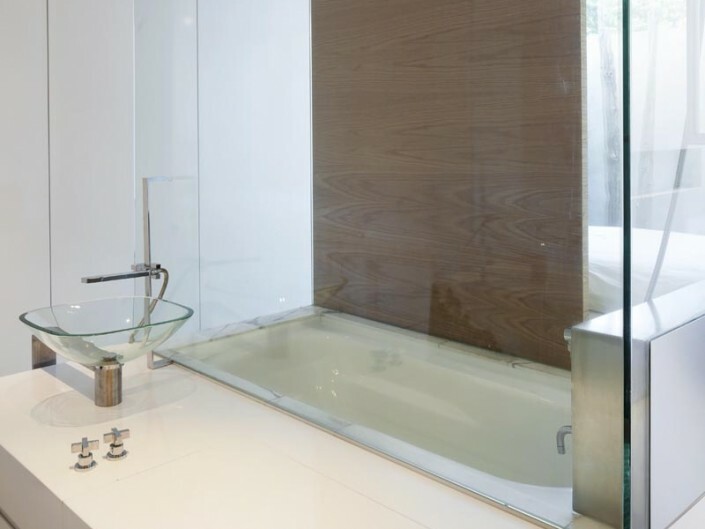 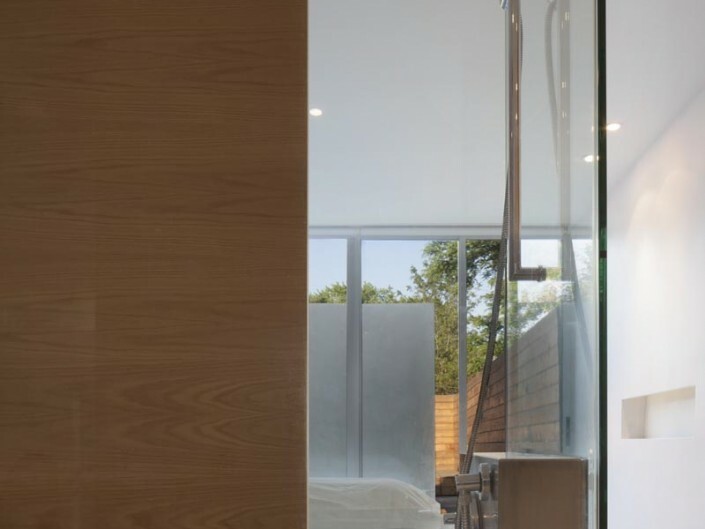 Another sliding partition separating the ensuite bath from the bedroom defines the bathing zone and a glass-enclosed shower functions as yet another “screen”. 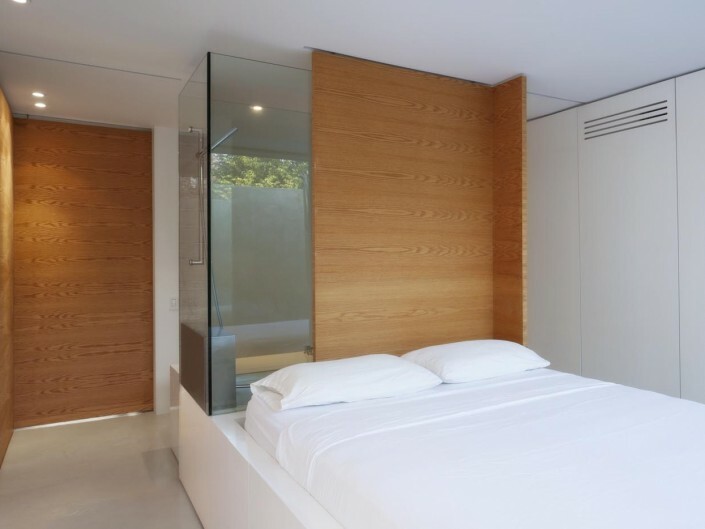 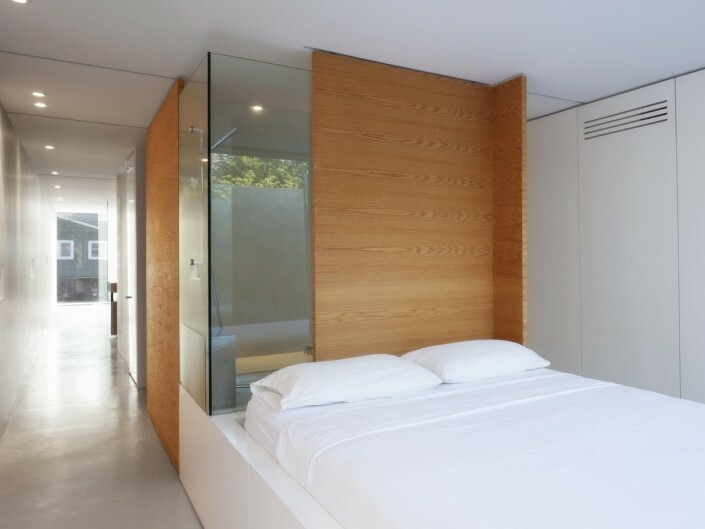 Within the bedroom suite the bathing and bedroom spaces can function as one space, or if desired, be modulated with sliding partitions to offer privacy for either the bedroom or bathing areas. 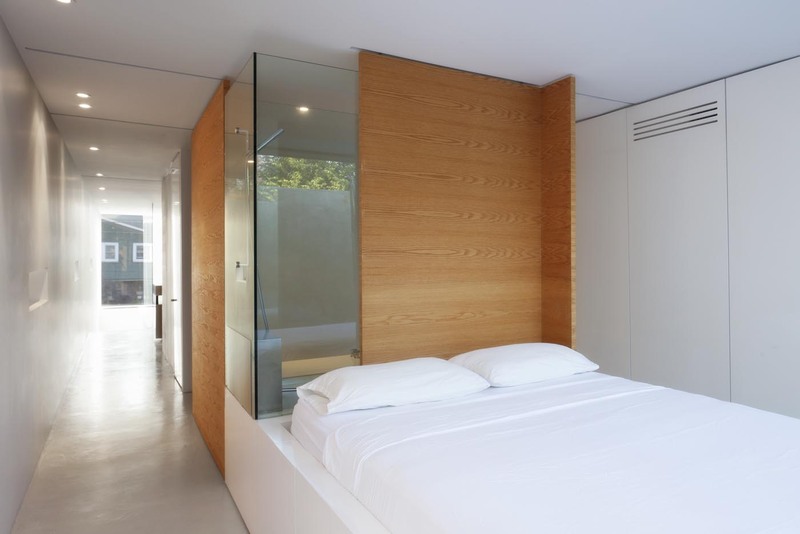 A toilet room is hidden behind the closet doors of the bedroom. 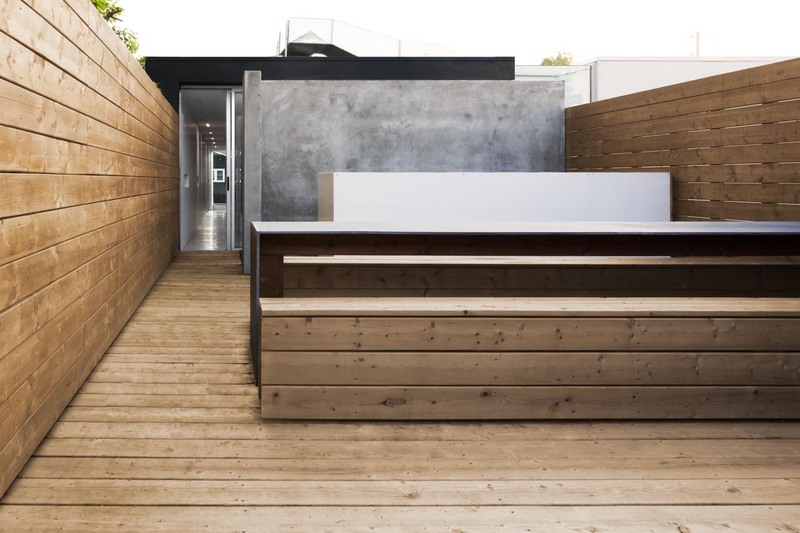 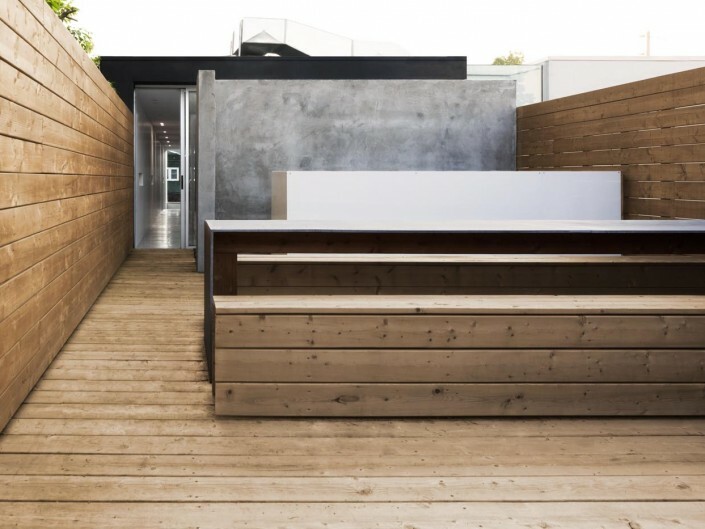 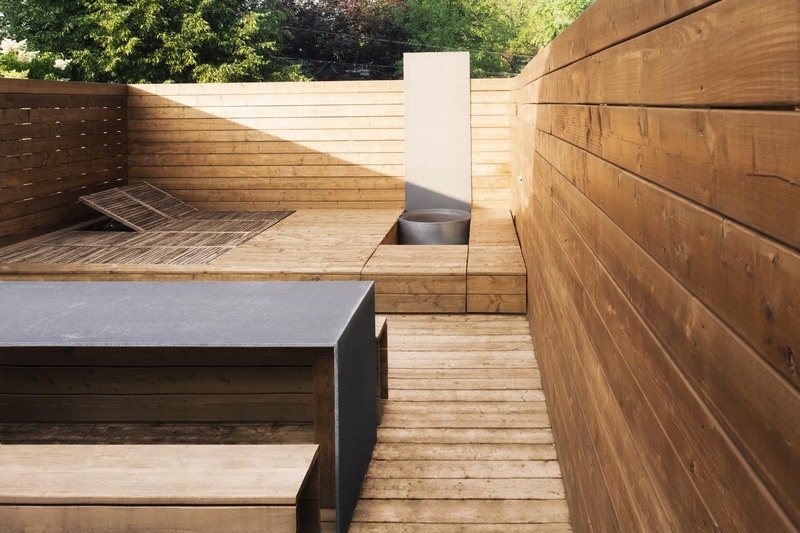 A large deck (700SF) further extends interior to the exterior. 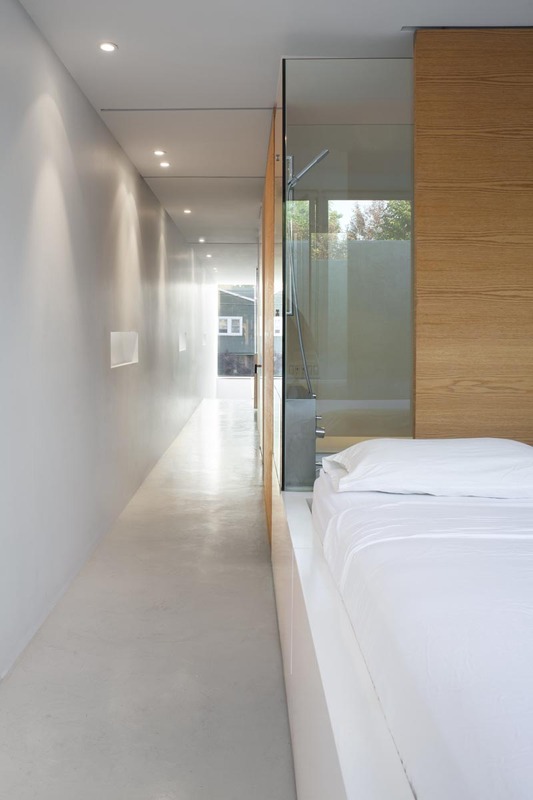 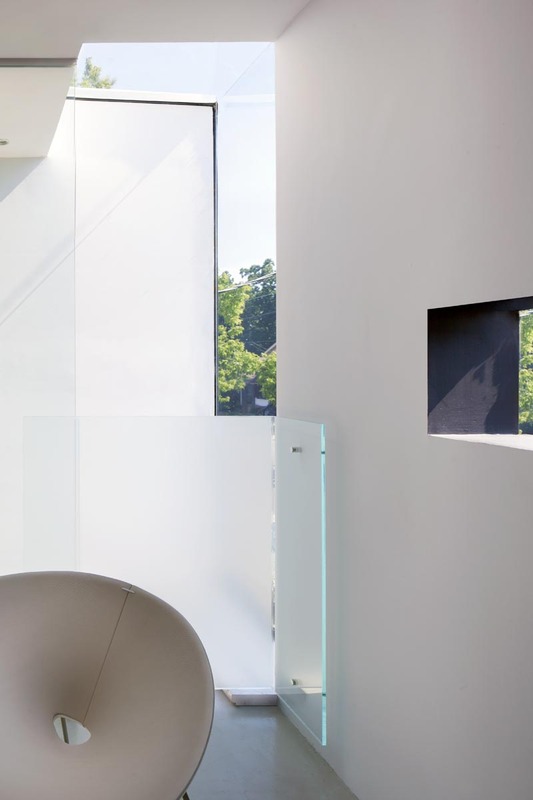 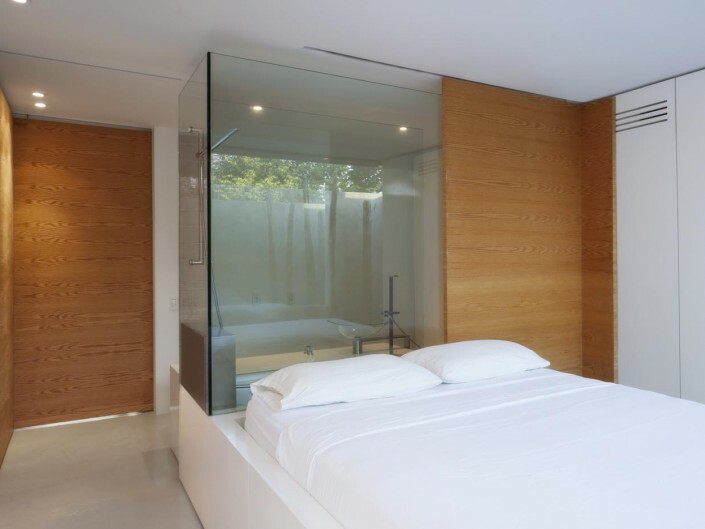 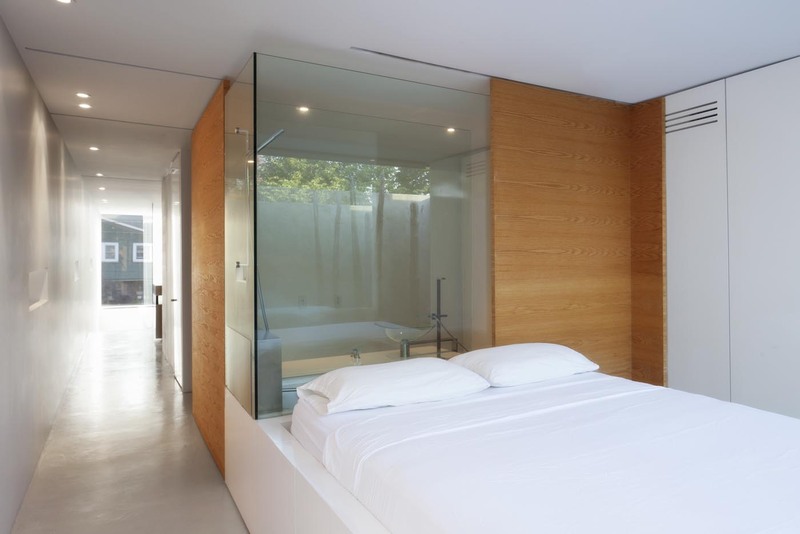 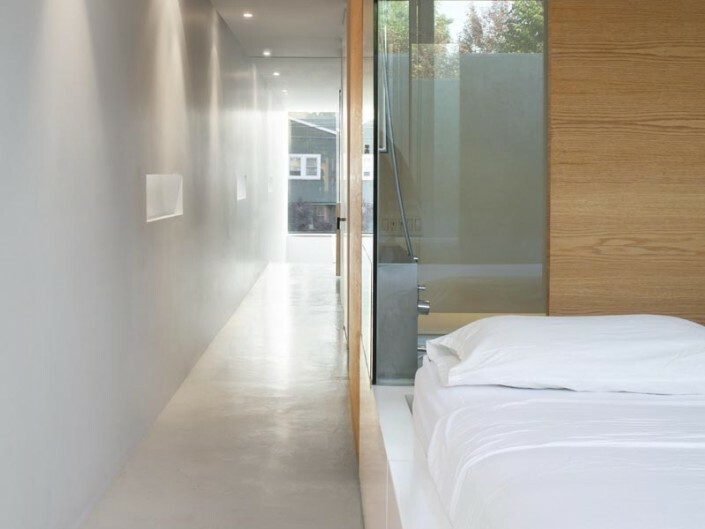 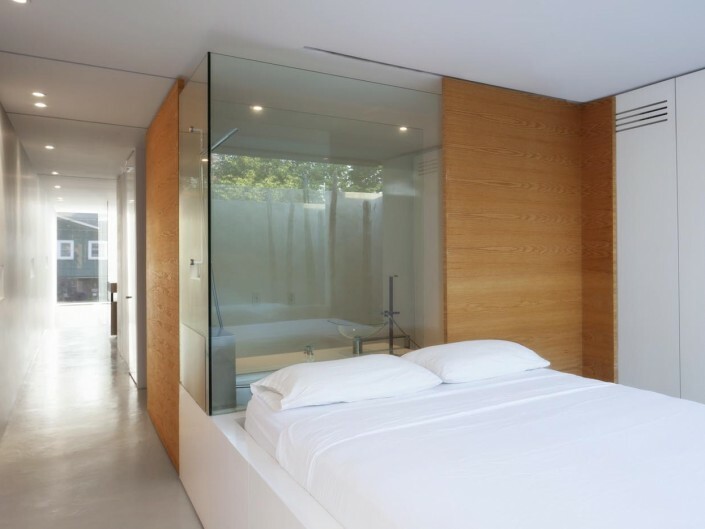 The large glass walls of the master bedroom face a small exterior courtyard, providing both view and privacy. 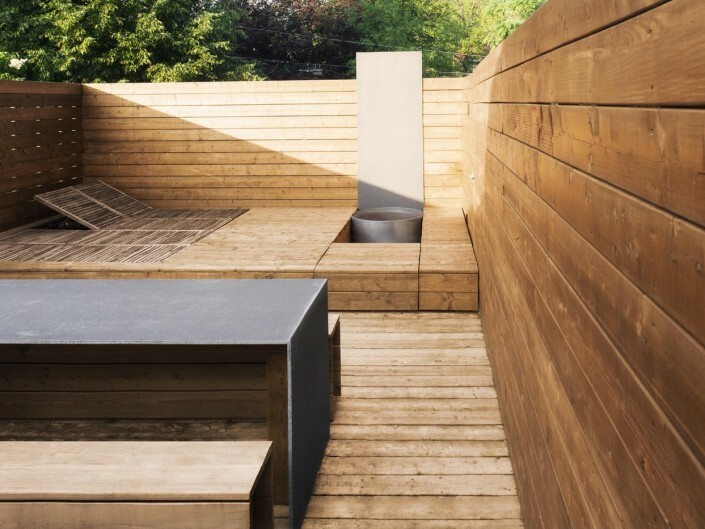 Barbeque/Bar areas, a large work/dining table and a platform lounge/sunbathing area define the remaining areas of the deck. 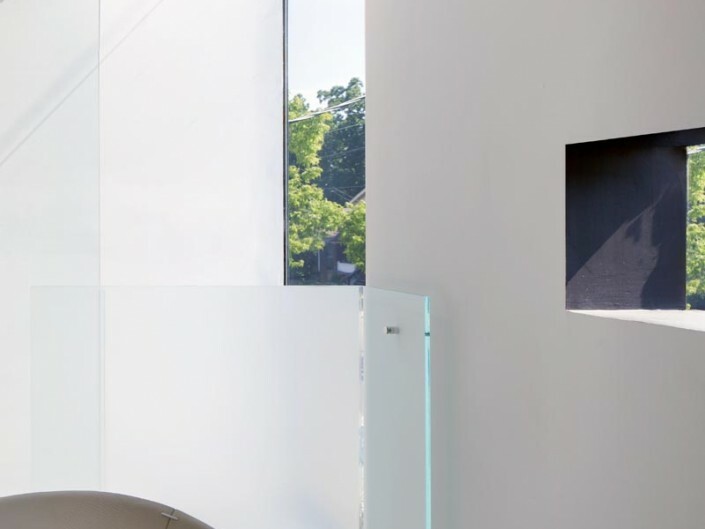 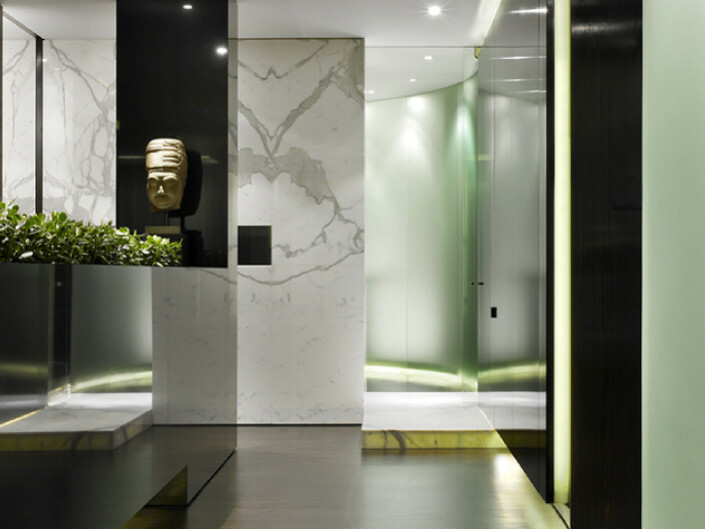 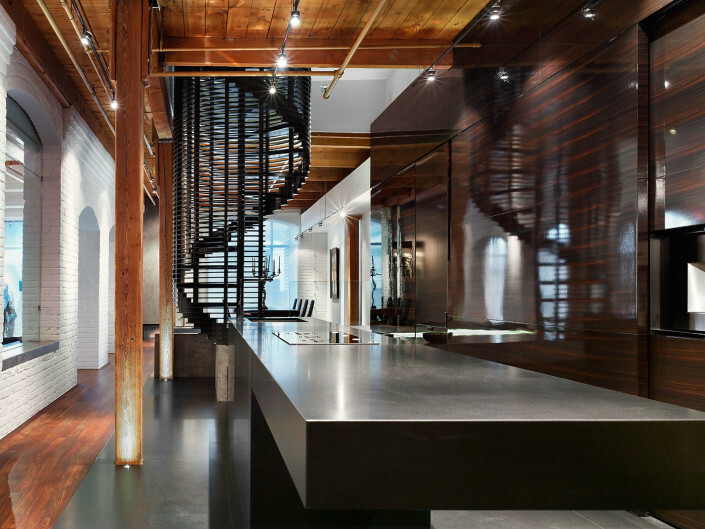 Visible from the interior and terminating the view at the top of the stair when one enters the apartment, an exterior “fireplace” carved within the platform provides both view and ambience.